At their regular meeting last night the Elk Grove City Council voiced support for the Costco proposed near Elk Grove Boulevard and Bruceville Road but did not formally approve the project pending design modifications. After nearly two hours of public comment and deliberations, the big box retailing behemoth was instructed to come back at the July 13 meeting with aesthetic modifications to the proposed 150,000 sq. ft. structure and at that time, it would be approved. There was limited discussion regarding economic incentives that might be pursued by the project's developer, Pappas Investment. 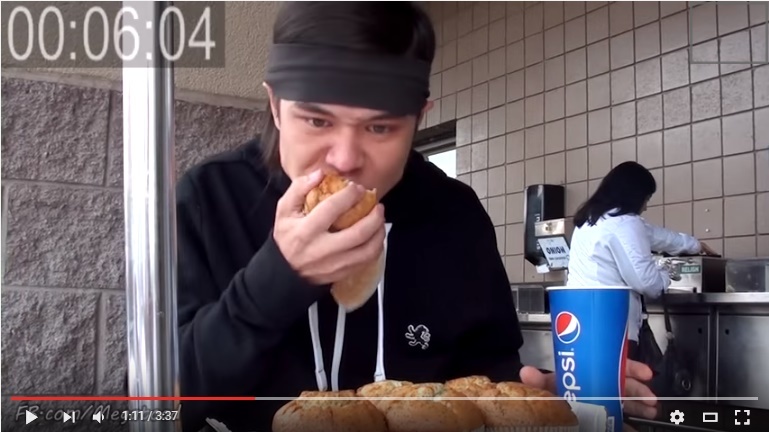 video of Stonie crushing six Costo muffins here. During public comment, the council heard from several people who expressed a variety of concerns from the appropriateness of locating the store directly adjacent to a residential neighborhood, proposed economic incentives for Pappas Investments and traffic. Elk Grove resident Ethan Hunt called current traffic on Elk Grove Boulevard a nightmare, suggested the store be relocated near one of the city's freeways and chastised the councilmen for their lengthy discussion of Costco's merchandising strategies. "Most of the people who live in Laguna Ridge don't care, no offense, we don't care about noodles, we don't care about Patagonia sweaters," he said in reference to comments from the dais about Costco's merchandising. "All that stuff is great, but what we care about is the quality of life." During their deliberations, Councilman Pat Hume badgered the applicants insisting the exterior be upgraded to reflect other Costco stores throughout the country. At one point Hume held his smartphone up showing a picture of another Costco. Hume also addressed the concerns expressed by Laguna Ridge residents but noted the correspondence he received was overwhelmingly for the store at the proposed location. "Those who oppose show up," Hume said. "The people who are happy or want it, aren't going to take the time out of their schedules to say yes." Mayor Gary Davis noted that the site had long been planned as a retail center and that the city "has been working their tail off" to land an anchor tenant for the development. He added that having a tenant at that corner is a keystone in landing other quality retailers. Addressing the incentives as outlined in the City of Elk Grove's staff report, (on page 13) Councilman Steve Detrick accused the media of agenda-driven reporting on the matter. The incentive was first reported on this site, followed several hours later by the Sacramento Bee. Following comments by Costco representative Mike Debrota who claimed Costco has never sought financial incentives from the city, Detrick agreed and said the public had been misled. "Folks, when you read the newspaper, read it online information, doesn't mean it's always accurate," Detrick said. "It is usually spin somebody is putting on things ... to foster negative. I don't know how that story came out, because there is nothing even true about Costco ever asking for a subsidy." Countering Detrick's claim was Davis who said he "would set the record straight" and asserted that as long ago as 2008, Costco told him they would seek economic incentives. "I had a meeting with the Costco real estate team in 2008, and they directly requested a sales tax sharing agreement," Davis said. "That may not be a direct request of this team today, but that was absolutely a direct request of that team in 2008. So I think that it is important that be set straight." In the story posted on Tuesday, EGN reported that according to the staff report, the Pappas Investment Company was threatening to kill the project unless an economic incentive was offered by the City. The following quote was copied directly from the City of Elk Grove's Staff report. That quote read - "The Property Owner has advised the City that the proposed lease with Costco will not be financially viable for the Property Owner, and the Costco Project might not proceed, unless the Property Owner receives an economic incentive from the City in an amount to be determined." Following Davis' comments refuting Detrick, there was no further discussion of a possible incentive for Pappas or Costco. Citing holdings in Costco stock valued between $10,000 and $100,000, Councilman Darren Suen recused himself from the proceedings. The matter will come back at the July 13 meeting.